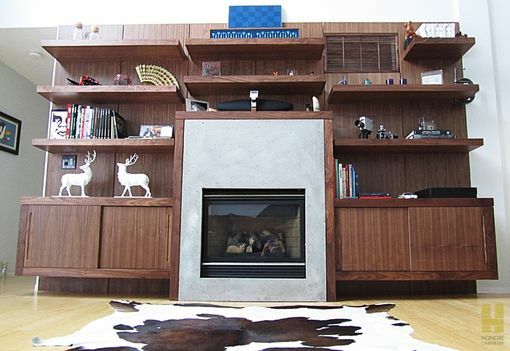 Quartered walnut veneer built-in with paneling and floating cabinets and shelves. Fireplace surround made from poured concrete. Custom grate made and installed over air vent.